CollegeFashionista.com is a fashion website for those who are passionate about the latest styles and trends on campuses around the world. This website allows students and other young adults to view photographs of what their peers are wearing around college campuses and gain valuable insight and tips to incorporate these looks into their own college fashion wardrobes. The articles are written by college students, for college students. 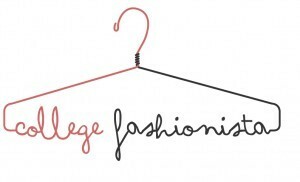 CollegeFashionista’s mission: to empower students to make the campus their runway. Do you want to work in fashion? We can help you get there. CollegeFashionista.com is looking for ambitious, goal-orientated interns this summer to report on the fashion trends happening on their campus. Our interns, aka Style Gurus, are in charge of capturing street style photography around their college campus as well as creating articles based on their findings. Style Gurus contribute up to two posts per month during the duration of the internship as well as participate in bi-monthly Instagram chats with fashion industry executives, webinars and other skill building exercises. Interns also have the opportunity to work on brand campaigns and home page features. The position runs from the week of May 23 2016 to August 19 2016 and is unpaid, however, credit can be received. Students must own or have access to a camera for the position. SLR cameras preferred. Looking for outgoing students who want to expand their writing portfolio and contribute to a growing online media company. The final date to apply is May 2, 2016. However, we accept applicants on a rolling basis and encourage you to apply before then.